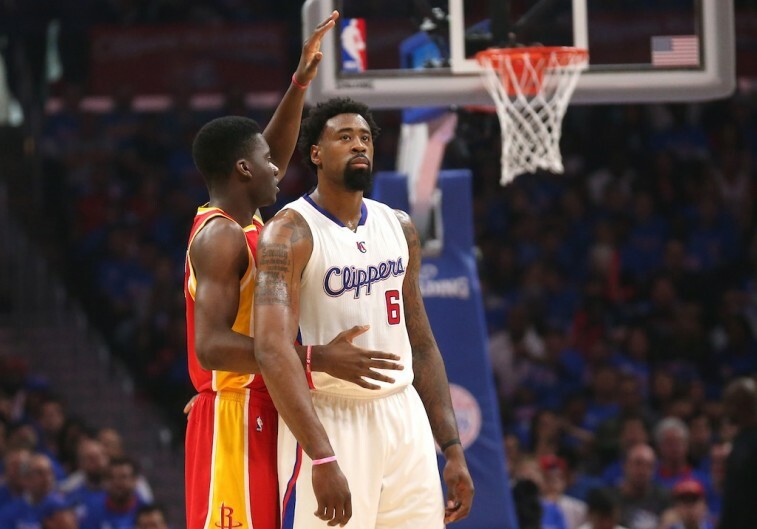 DeAndre Jordan is not a good free throw shooter. We get it. He can’t make them in the regular season (career average of 41.7%), and he’s worse in the postseason (career average of 40.9%). The smart play would be to send a guy like that to the charity stripe as often as possible — which is exactly what the Houston Rockets have been doing in their second-round series with the Los Angeles Clippers. Unfortunately, they may have run this move into the ground. The Rockets aren’t the first team in the NBA to employ this tactic. In fact, it’s a pretty common things to do against the Clippers. However, after Sunday night’s Game 4, it’s safe to say that Houston has taken things too far. Not only did Jordan shoot 34 free throws on the night (making 14 of them), but he also set a new playoff record for attempts in the first half, with 28. To make matters worse for the visiting team, its plan didn’t work. 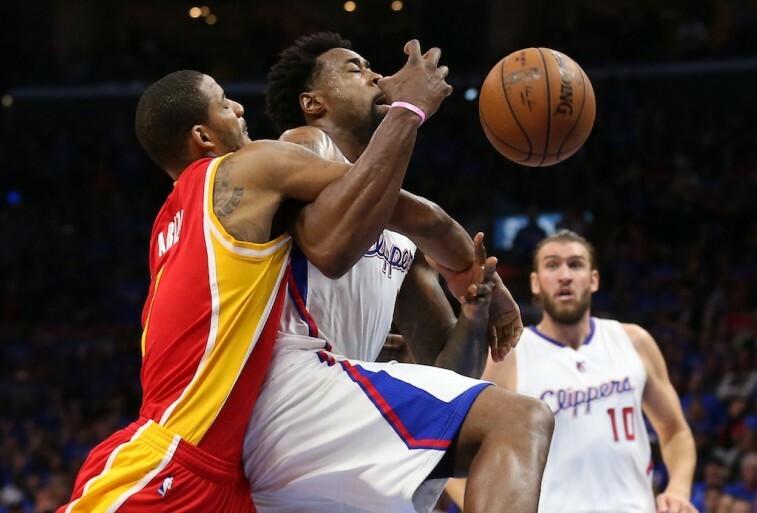 The Clippers came out victorious by a score of 128-95, and now find themselves up 3-1 in the series. The Houston Rockets are in deep trouble, and they may be on the verge of watching the remainder of the postseason from home. And you want to know the truth? They only have themselves to blame. After all, they’re the ones who have been putting Jordan on the free throw line so much. Perhaps the Rockets should’ve taken a harder look at the numbers. If they did, they might have learned a valuable lesson: This strategy doesn’t work. We could stress that this tactic “doesn’t work” because it turns the game into a boring and ugly affair. We could discuss how even the stars don’t enjoy this style of play. But we’re not going to focus on that — we’re going to look at the data. As FiveThirtyEight proved last year, sending Jordan to the line may seem like a good idea, but it’s ultimately, a waste of time. At the time when FiveThirtyEight was dissecting the information, Jordan was a 43% free throw shooter. By putting him the line and giving him two shots, he was expected to generate 0.86 points. Considering the Clippers were averaging 1.12 points per possession this season, this appeared to be a solid gamble. However, FiveThirtyEight knew that the data would be more accurate if it limited the points per possession to half-court situations. When this was done, the Clippers points per position decreased to 1.04. With the point spread between fouling Jordan and the Clippers’ regular possession decreasing to 0.18, things started to get a bit more interesting. Opposing teams still had the advantage if they put Jordan on the line. However, they didn’t take into consideration a few more vital pieces of information. The first is that fouling Jordan allows the Clippers the chance to get back on defense — this saves them 0.04 points as opposed to when they are going through a regular offensive possession. 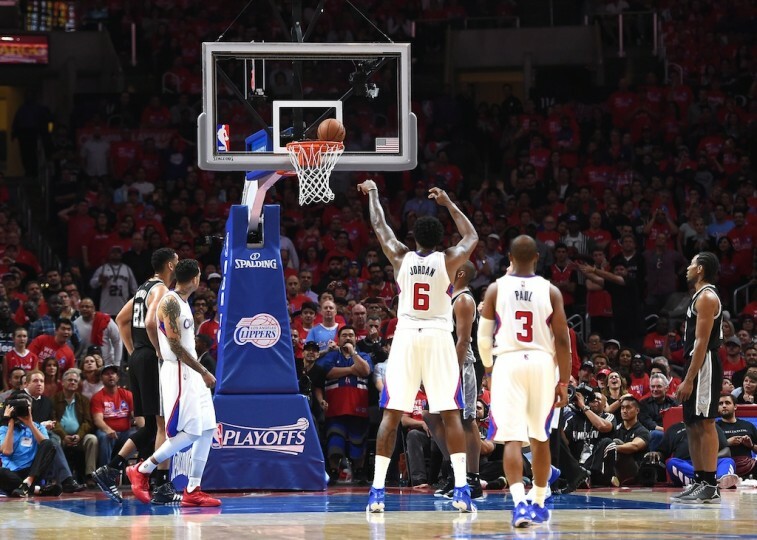 In fact, according to Clippers coach Doc Rivers, this worked heavily in the team’s favor in Game 4, especially with regard to Chris Paul. But what’s even more important than the Clippers’ ability to set up their defense is the team’s talent for offensive rebounding off missed free throws — specifically, those taken by Jordan. According to FiveThirtyEight, the Clippers have somehow gotten 21% percent of Jordan’s missed free throws. This figure is almost double the NBA rate (12%), and considerably more than the 4.8% the team grabs off of other players’ misses. After analyzing all these figures, it was concluded that the expected points for the Clippers when Jordan was fouled was 1.07. This is more than the 1.04 points that were expected on a normal position. As you can see, fouling Jordan is not as beneficial as one might assume. Of course, in the end, it’s all about final results. Interestingly enough, a graphic that was displayed during this year’s first-round matchup between the Spurs and Clippers proved how much success Los Angeles has had when Jordan’s been sent to the line often. Deadspin reposted this information — regular season and playoff figures — that showed the Clippers are 15-2 when Jordan shoots 12 or more free throws, 12-0 when he shoots 14 or more, and a 9-0 when he shoots 15 more more. This is remarkable. Granted, Deadspin did its own evaluation that concluded that most teams were already in trouble before they started intentionally fouling the Clippers center. Still, it’s clear that the Hack-a-Jordan strategy isn’t yielding the intended results. Intentionally fouling an opposing player is bad for the game. It’s slow for the players and dull for the viewing audience. But, in the case of DeAndre Jordan, it’s also proven to be a wasted effort, as the Clippers still manage to come out on top. It’s said that the definition of insanity is doing the same thing over and over again, expecting a different result. Perhaps it’s time teams stop fouling the Clippers big man. Unless, of course, they enjoy losing. All statistics are courtesy of Basketball-Reference.com and FiveThirtyEight.